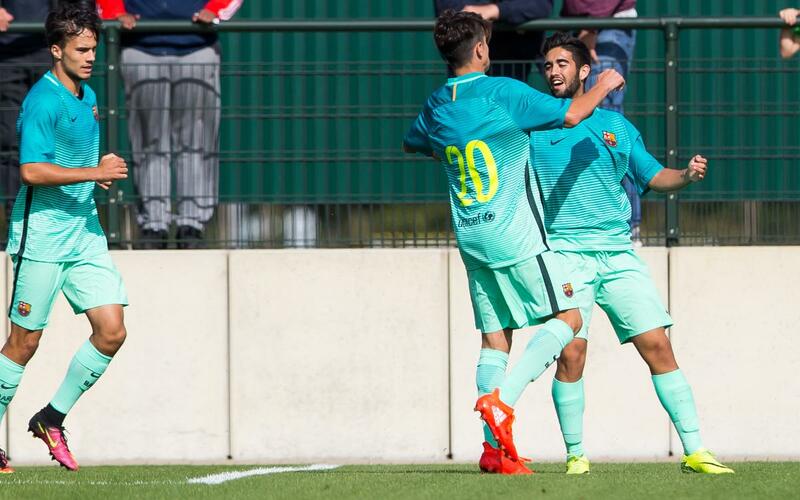 The U19 team have continued their fine form in the UEFA Youth League with a 3-1 win at Borussia Mönchengladbach with first half goals from Dani García and Guillemenot, and a late third from Jordi Mboula. It only took the minutes for Dani García to open the scoring after he pounced on the rebound after a fine strike from Carles Pérez. Guillemenot extended that lead half an hour later after receiving the ball with his back to goal and chipping the Borussia goalie, but Schikowski got the Germans back to within win one with a goal on the stroke of half time. Mönchengladbach pushed hard in search of an equaliser after the interval, but as the game drew to a close the best chance had fallen to Abel Ruiz when he was one on one on home keeper Langhoff. That one failed to find the target, but Ruiz was also involved in the build-up to Mboula’s last minute goal that made doubly sure that the points would all be coming back to Barcelona.